Once you’ve made your decision and are ready to drive off our lot in a new or pre-owned Hyundai, you’re now tasked with finding the financial plan that’s right for you. Fortunately, the Hyundai financing professionals at our Hyundai dealership in Littleton, CO, want to help you find the ideal plan that fits your budget and lifestyle. We’ll work with you to find the auto lease or car loan that works within your budget. Sit down with one of our team members to get started! If you want to jumpstart the process so you can be well on your way to owning a new Hyundai, take a look at our online Hyundai finance application. We even have an easy-to-use payment calculator, so you can adjust your plan to see what’s best for you. Have a car that you’re looking to trade in? Use our online Kelly Blue Book® tool to see what your car is worth. You can even use your car’s trade-in value to put toward the purchase of a new car. 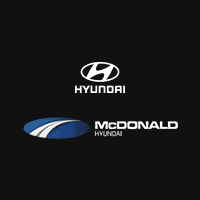 Be sure to browse our Hyundai specials and see how much you can save on your next purchase, then head to McDonald Hyundai to finance a new car.